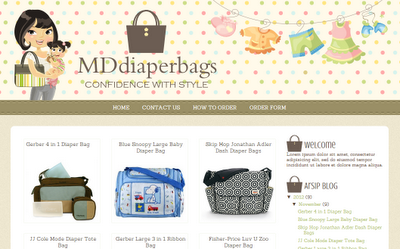 Sist Mel from Singapore contact me and ask about cute blog design for her diaper bag online shop, MDdiaperbags. We discuss about the theme including its concept, layout, illustration, and color. 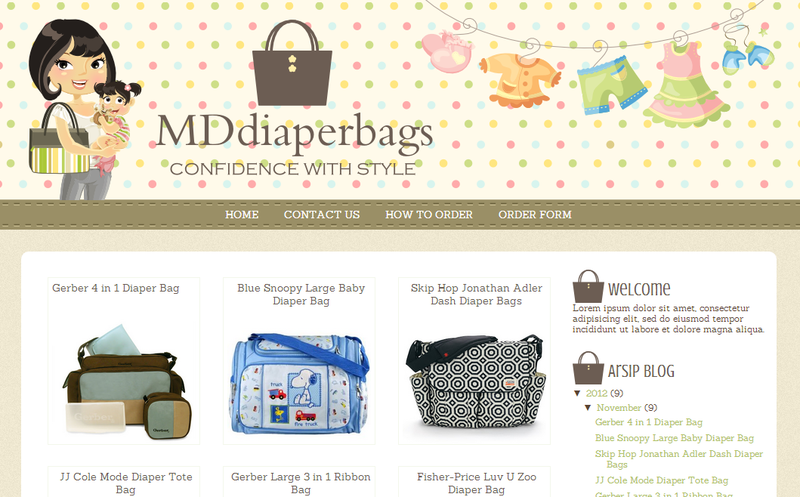 She come with her current logo so I design theme match with MDdiaperbags logo. Finally, not only dominated by blue and pink color, mix of various pastel color, yellow, brown, green, blue, and pink. I use polkadot and stripe as background. As online shop, we think that gallery with thumbnail product is best layour for online shop. And here is the result. so beautiful and lovely blog designs and ofcourse useful too. How To Build Your Brand Online? How To Show Social Media Sharing Button?